The writers are the Vice President and Outreach Coordinator of Harvard Undergraduates for Environmental Justice, respectively. Recently, The Crimson published a piece reporting on Harvard Undergraduates for Environmental Justice’s online petition to divest the University’s $39.2 billion endowment from the fossil fuel industry. Many of the responses to this piece disparaged the petition and student organizing efforts to achieve divestment more broadly. These same sentiments were voiced by The Crimson Editorial Board last month, when it urged students to vote “no” on the UC referenda for fossil fuel and private prison divestment. 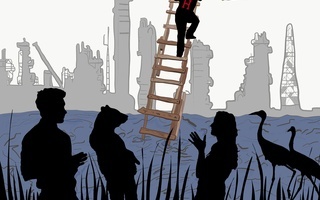 Writing that “there is little … the student body can do to change the very tangible actions of the Harvard Management Corporation,” the Editorial Board expressed the same disregard for the imminent need for climate action displayed not only by Harvard but also by corporations and institutions around the country and world. HUEJ’s petition, like the recent UC referendum showing 71 percent support from students for divestment, is one of many tools we are using to generate more discourse around Harvard’s refusal to divest. It is, as the writers for The Crimson point out, largely symbolic. But this symbolism matters: The more we emphasize our collective commitment to an equitable and just future, the closer we get to achieving that goal. And this isn’t just symbolism. The petition, like the referendum, carries with it the potential to inspire more students to join the movement. The actions of fellow organizers — this week’s occupation of Yale’s investment offices to call for the cancellation of Puerto Rican debt is the most recent but certainly not the only example — speak to the strength of a cross-campus call for climate accountability. As HUEJ looks toward the spring semester, we hope to see many more students on our campus and on campuses across the nation participate in our teach-ins and public actions. For now, we want to clarify what this movement means and why it’s so important. Harvard is an institution with a unique amount of moral influence. 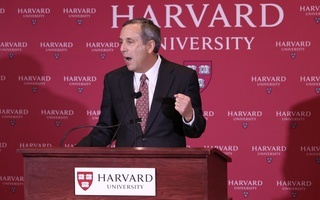 Yes, it is also the most major economic player within the context of university endowments, but the real resonance of Harvard making the responsible choice to divest from fossil fuels would be in its modeling leadership in climate action for its peer institutions. The name “Harvard” means something. 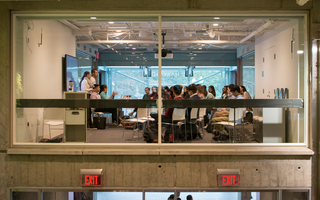 It can drive other educational institutions to make change or it can justify their opposition to doing so. Let us make one thing clear: Harvard retaining its investments in the fossil fuel industry is not a form of inaction. It is a form of completely unethical and unsustainable action. 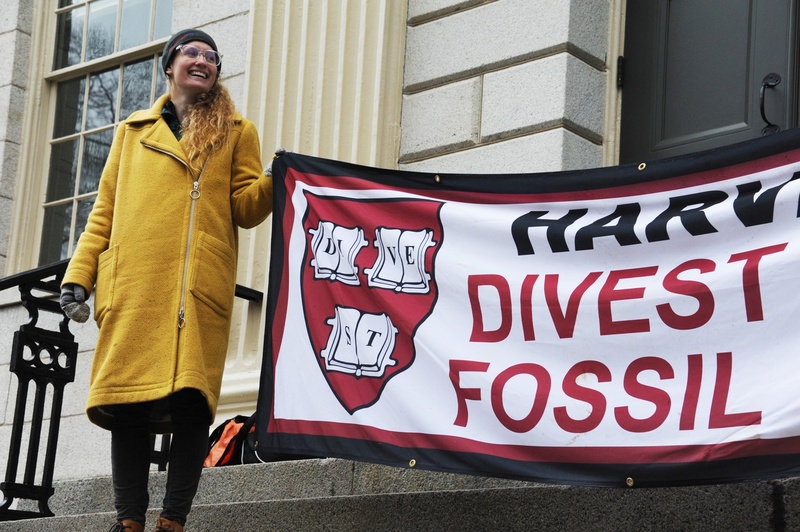 By actively investing in the fossil fuel industry, Harvard is not only betraying the moral principles it so often espouses but also refusing to value the lives and livelihoods of its students and of citizens around the world. Divestment is as political a statement as investment. When an institution divests from fossil fuel companies, it puts the well-being of our planet and its inhabitants above short-term economic gains. The potential for profitable, sustainable, and ethical reinvestment is clear, and that’s also an important component of the divestment movement. What we want to emphasize right now, however, is that it is utterly insufficient to claim that environmental research and on-campus initiatives can compensate for investing in and thus actively supporting the industry at the epicenter of accelerating global climate change. It is, unequivocally, a moral failure. That’s why HUEJ, along with our student, faculty, and alumni allies, are calling to #DivestHarvard. Climate change is not going away, so neither are we. Our call for action is part of a global movement for change. Harvard has already lost the opportunity to be at the forefront of that movement; the question remaining is whether Harvard will join before it is too late. Ilana A. Cohen ’22 lives in Pennypacker Hall. Isa C. Flores-Jones ’19 is a History and Literature concentrator in Dudley House. The writers are the Vice President and Outreach Coordinator of Harvard Undergraduates for Environmental Justice, respectively.